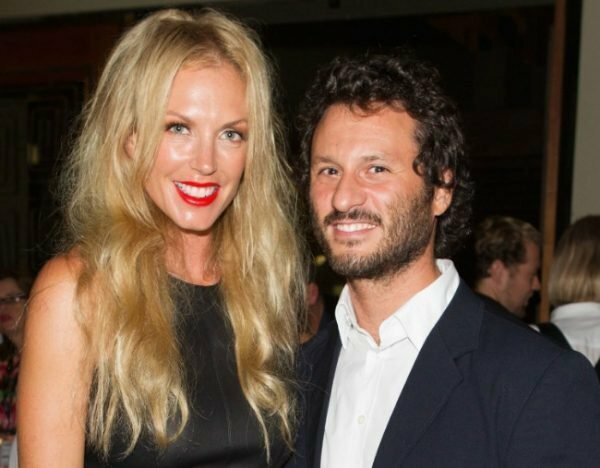 Danny Goldberg Annalise Braakensiek: What happened to the IT Girl? She was the ultimate 90s It Girl. Why did Annalise Braakensiek's life end so tragically? On Monday morning, Australia woke to the news Annalise Braakensiek had been found dead in her home on Sunday afternoon. There were no suspicious circumstances surrounding the 46-year-old’s death. The former model turned entrepreneur died alone in the Potts Point apartment she had purchased in November last year. Braakensiek, who had Czech and Norwegian ancestry, quickly rose to fame in the 1990s after a photographer scouted her at Sydney’s Bondi Beach when she was just 16 years old. She soon began modelling and in 1994 she was named Inside Sport’s Model of the Year, and appeared on the cover of the magazine six times. The model went on to grace the covers of a bunch of international magazines including the Italian edition of Maxim, and the US edition of Cosmopolitan. She appeared on the sexiest women in the world list almost 20 times and was considered to be the ultimate 90s It Girl. The model then turned to acting and appeared in Heartbreak High, Home and Away, and the ABC comedy series Fat Pizza. In 2008, Braakensiek stepped away from the camera and launched a vegetarian food catering service called Love Lunch. The next year, in 2009, she launched a range of eco-friendly underwear for curvy women. The line, simple called Annalise, proved to be a success and in 2011 she expanded into Big W and launched a sleepwear range. That same year, the model turned entrepreneur launched her own jewellery line. Over the past few years, Braakensiek has turned her attention to social media, amassing over 40,000 Instagram followers. 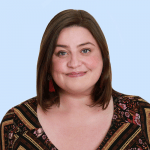 In 2002, Braakensiek married her stockbroker boyfriend, Danny Goldberg. The couple made the decision not to have children together. “No, we are not going to have babies,” she told the Daily Telegraph in 2015. “We like our life the way that it is but I have seven godchildren, whom I love very much. In April of 2018, the couple announced they had separated but planned to remain good friends. “Our marriage ended its course after 16 years together. We still have a lot of love for each other and will remain good friends,” the former model told the Sydney Morning Herald at the time. Around the same time, Braakensiek began opening up about the real toll of her marriage breakdown on Instagram. “I don’t know if a broken heart mends or learns to live in pieces,” she wrote in a now deleted post. Braakensiek then moved from Bondi, the suburb she had called home all her life, into an apartment she’d purchased on Victoria Rd, Potts Point. She continued to use Instagram as a platform to talk about her battle with depression and to raise awareness of mental health as an ambassador for R U OK? In 2017, she told The Daily Edition she faced unfair scrutiny over her mental illness because of the job she worked, with people commenting that her life was too glamorous for her to suffer depression. “It was the… negative reaction people had to me being depressed and falling under the dark cloud. Annalise and her ex-husband, Danny Goldberg. Image: Getty. In one of her last Instagram posts, uploaded on December 15, the mental health ambassador said she had gone through some dark times but was looking forward to new beginnings. "Everything seems to feel twisted and upside down at the moment... am I right?!!!! Life’s challenges have been deep, dark, difficult, demanding and down right scary lately. For me and so many others I know," she wrote. "But today is a new day! And I’ve also had some of the best jobs, travels and experiences of my life this year for which I’m THAT grateful. So, here’s to happiness and light, endless possibilities and new beginnings!!!!" Family and friends became concerned when Braakensiek stopped responding to text messages last Thursday. When police arrived on Sunday afternoon, they found the 46-year-old dead in her new apartment.